Miniature models capture Watford landmarks and history! 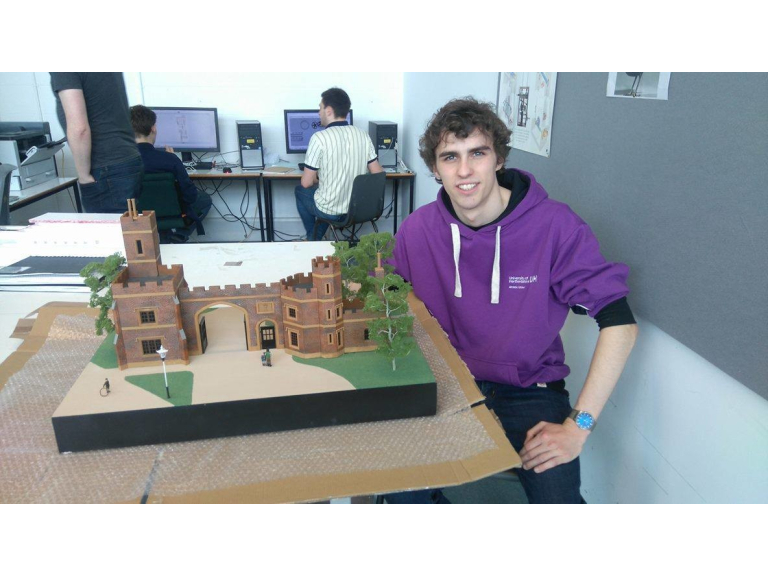 Three landmarks of Watford's heritage have been recreated in miniature form by University of Hertfordshire model-makers and will take pride of place in the new Cassiobury Park Hub. The models were commissioned by Watford Borough Council as part of its £6.6million restoration of the historic beauty spot – funded by the Heritage and Big Lottery funds as well as the council. Felix Burke built the miniature Cassiobury Park Gates – which originally stood at the Rickmansworth Road entrance to the historic beauty spot. The original gates were built in 1800 when the park was still part of the estate of the Earls of Essex, who lived in the imposing Cassiobury House. The gates – part of a building identified on maps as Watford Lodge – were allegedly designed by renowned Gothic revival architect James Wyatt, who remodelled the house between 1808 and 1810 in a wider programme of works on the estate. 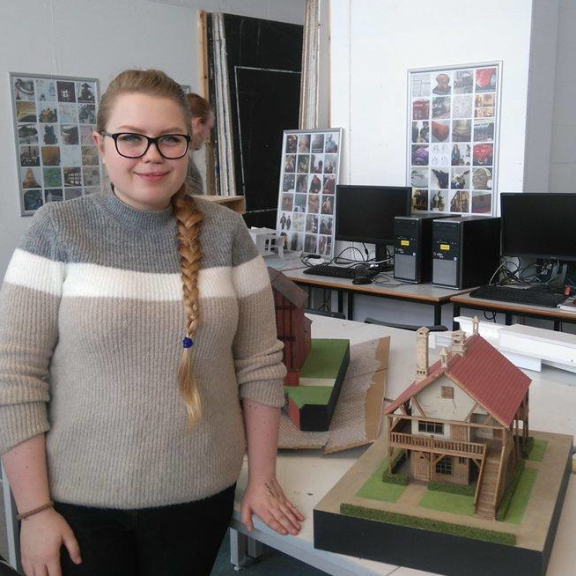 It is believed that the Swiss Cottage was also built at around the same time, faithfully recreated in miniature form by University of Hertfordshire student Paulina Grenda. The original Swiss Cottage was constructed next to the River Gade in the fashionable rustic style of the Romantic period of the late 18th and early 19th century. The Swiss Cottage and grounds were used for picnics and parties for the Earl of Essex’s family and friends and included a small museum. School groups were also allowed to use the building. Part of the cottage and the smaller building nearby were lived in rent-free by estate staff and their families. 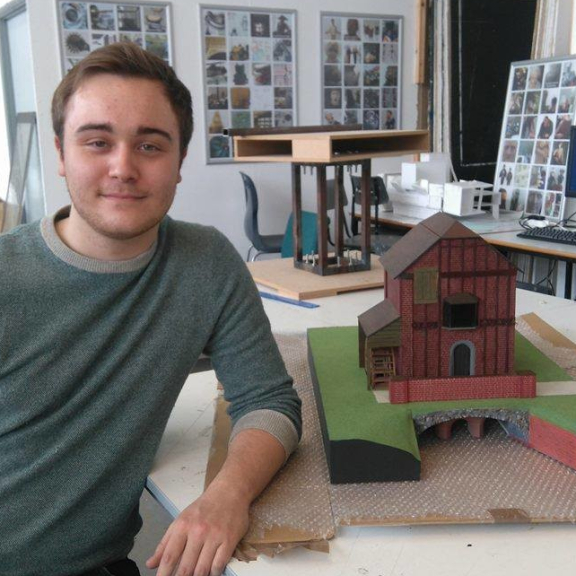 The watermill over the River Gade – recreated in miniature form by University of Hertfordshire student Thomas Jackson – was used to pump water to Cassiobury House. The Earls fell into financial difficulty, and Watford Borough Council bought most of what became Cassiobury Park between 1908 and 1913. Cassiobury House was later demolished in 1927, so a suburban housing estate could be built around the new Watford Tube Station, serving the expanded Met line. The gates lasted for another 43 years before being demolished to make way for the expansion of Rickmansworth Road. The Swiss Cottage was destroyed by fire in the 1940s. The watermill was demolished in 1956 after falling into a state of dilapidation. Its ruins remain on a bridge over the River Gade – not far from the popular Iron Bridge over the nearby Grand Union Canal – to this day. The models of the three structures will be used in the education space of the new Cassiobury Park Hub to teach visitors about the history of the area. They were created by second year students of the model making degree course at the University of Hertfordshire. The Hub will also house a café, changing rooms and more when it opens next to the revamped paddling pools as part of the Cassiobury Park restoration project. The footprint of the old gatehouse has been laid out in cobblestones as part of the project. Pleached hornbeam 'lollipop trees' and herbaceous plants have been planted nearby to create a formal entrance to the park from Rickmansworth Road. Other parts of the project include an archaeological dig that helped uncover parts of the Swiss Cottage and plans for a water wheel where the Old Mill once stood.